Don’t have enough height to entertain under your pergola? 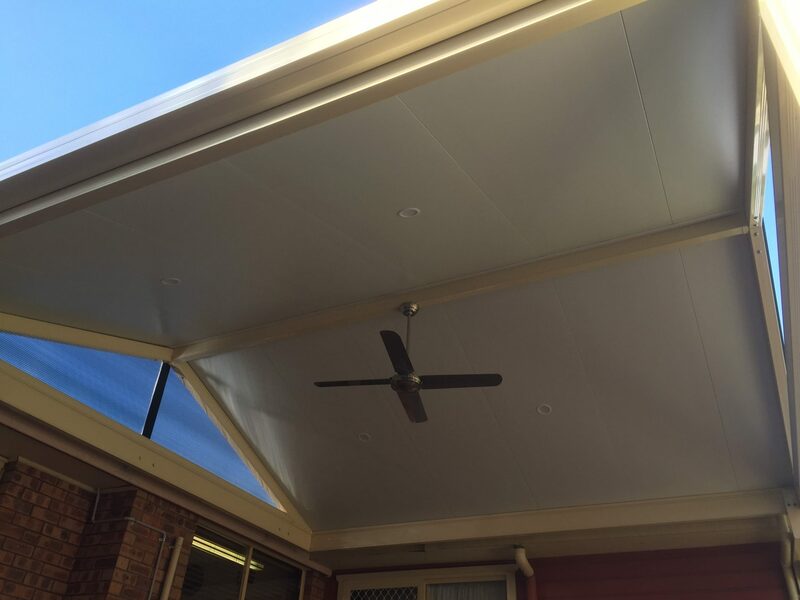 Speak to the team at Narellan Home Improvement Centre to discuss our gable roof pergola options. A gable roof pergola essentially looks like a roof truss without the messy support beams. 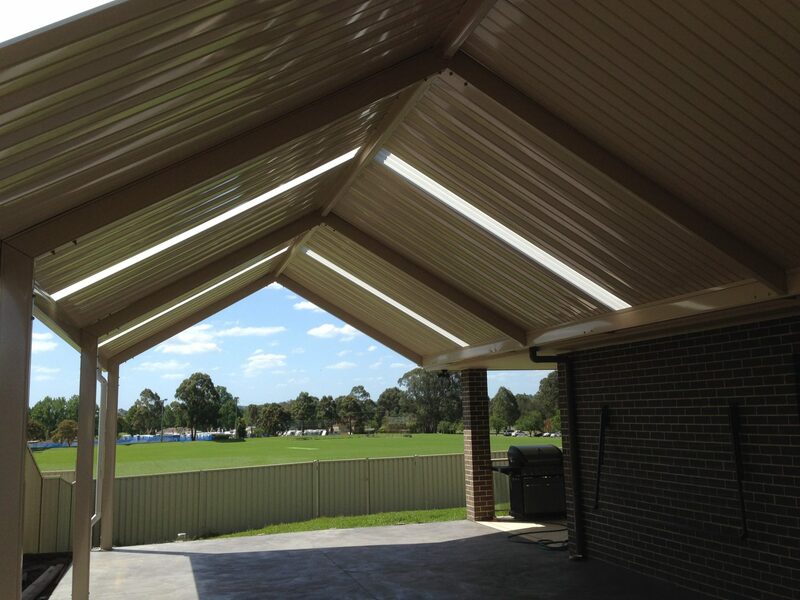 With advanced engineering, we can achieve much larger gable pergola spans than our competitors and offer a variety of different roof pitches. We can even pitch our gable pergolas a mouth-dropping 30 degrees. Looking for something different again? 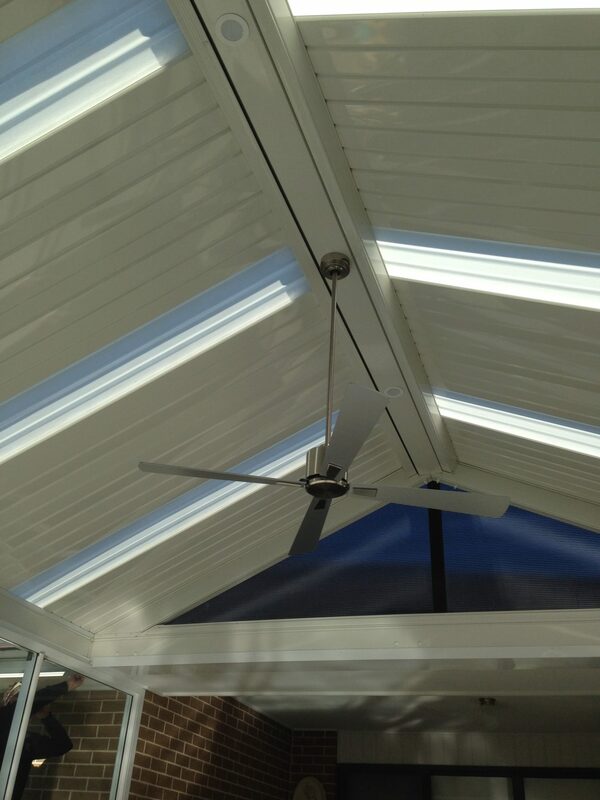 We can even modify our gable pergolas to have different pitches on either side, and also turn around corners. 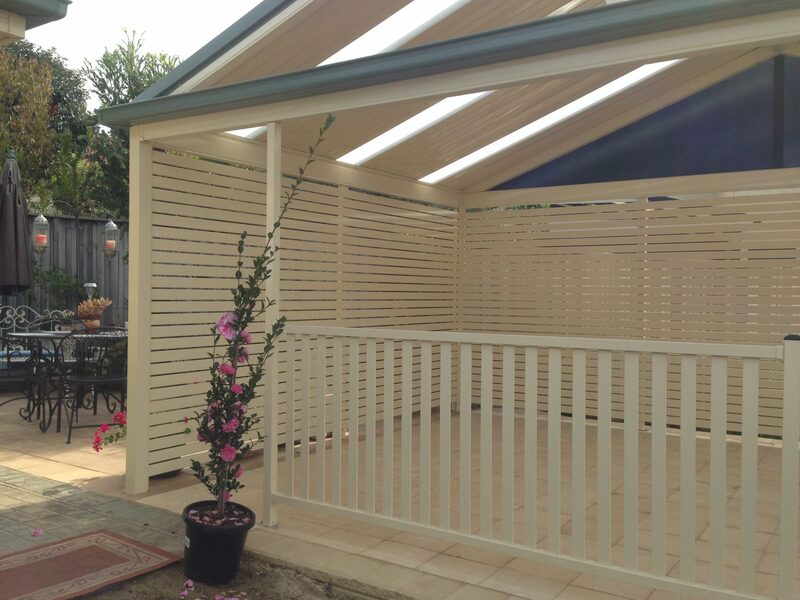 Check out our gable roof pergola photos below. 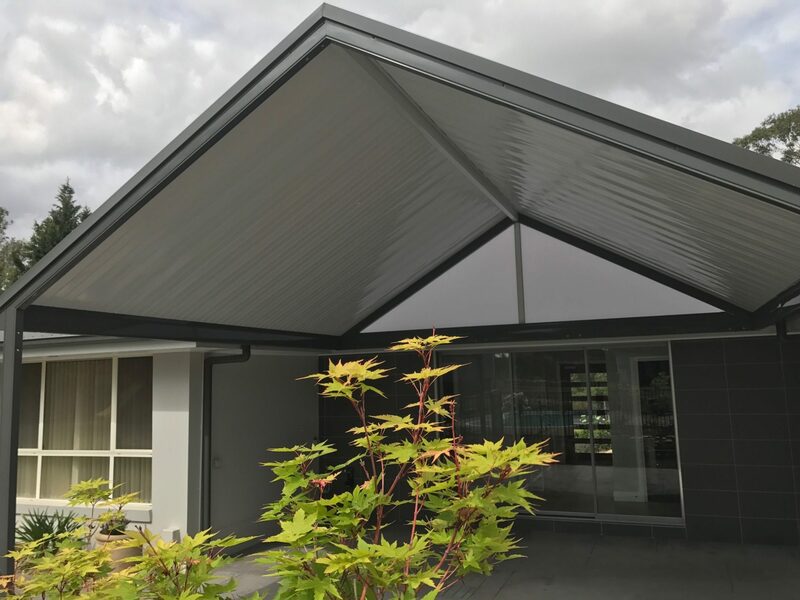 We can also combine our Colorbond, aluminium or insulated roofing with a timber frame to create a truly unique gable roof pergola. We can also reach atypical roof pitches (such as a massive 30 degrees) on our gable roof pergolas to create even more room above your entertaining space. Our gable roof pergolas open you to a new realm of pergola accessories including large outdoor fans. 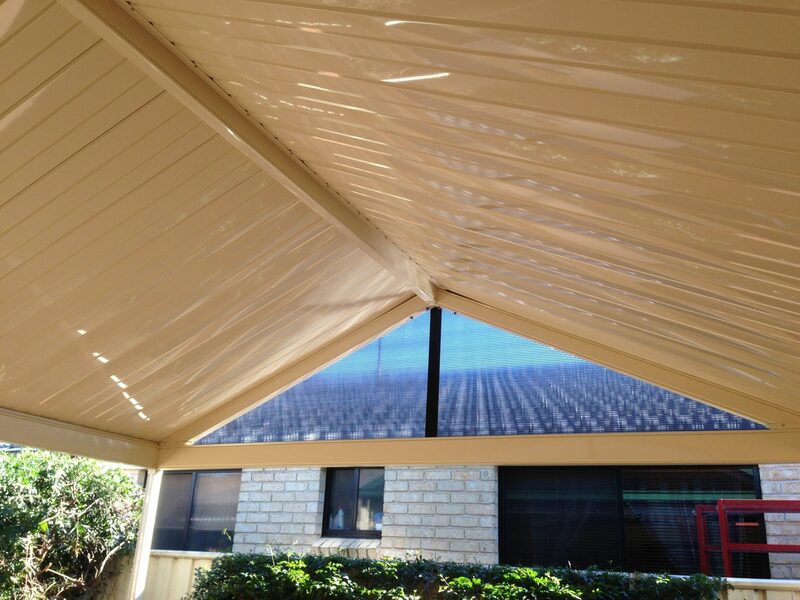 Contrary to popular belief, it is possible to include lighting within a Colorbond gable roof pergola. 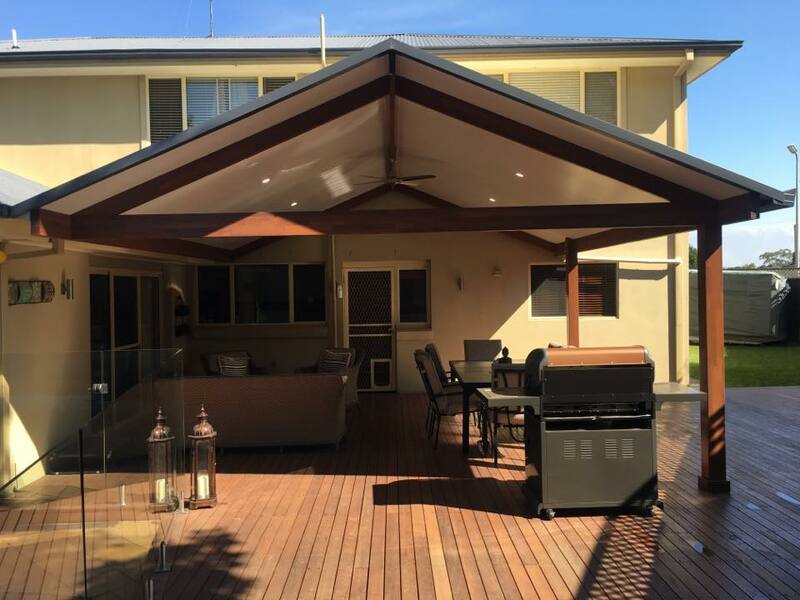 With our fully engineered gable roof pergola system, we can even build freestanding structures (not attached to your house) and attach privacy screening/balustrading. 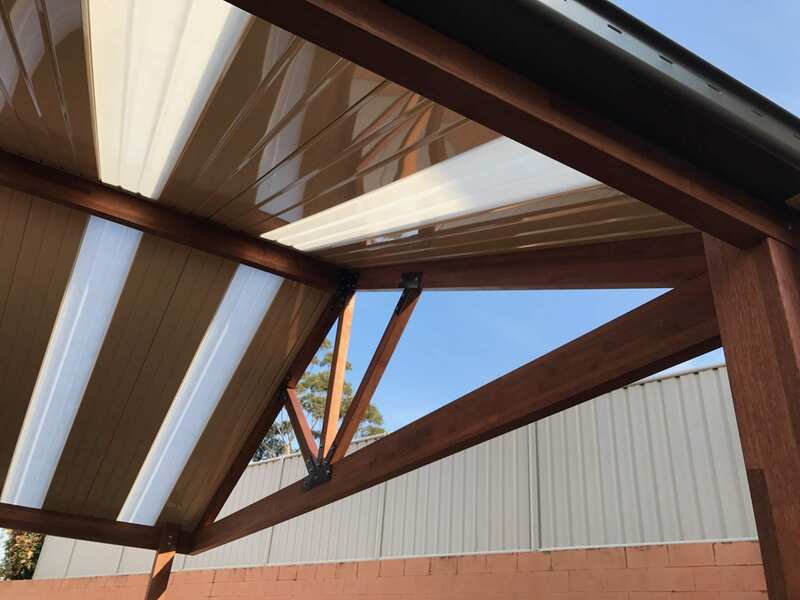 A popular way to completely waterproof your gable roof pergola is to use a special polycarbonate core flute sheet infill within the gable pergola opening. This is much more modern and cleaner looking than other methods.